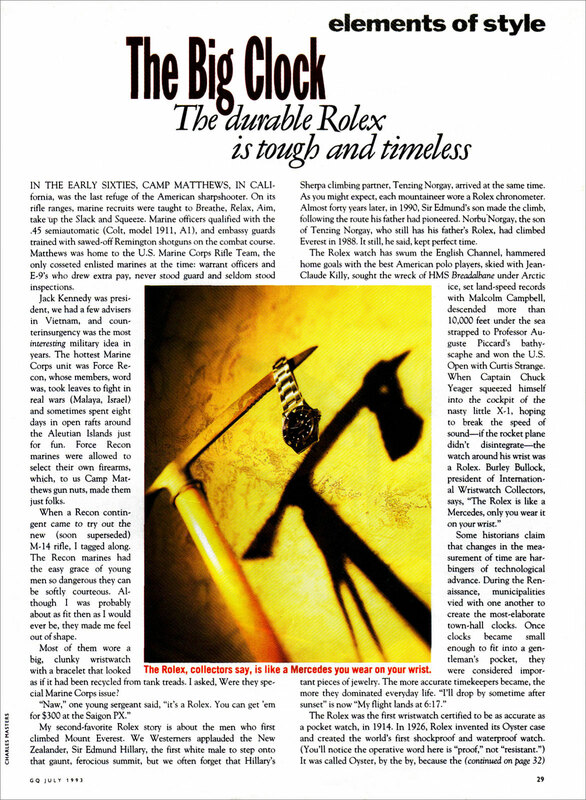 Dave from British Columbia wrote in with a few questions about the difference between Steve McQueen's Rolex 5512 and 5513, and he also sent along this Rolex article from GQ Magazine from July of 1993, which offers fascinating insight. 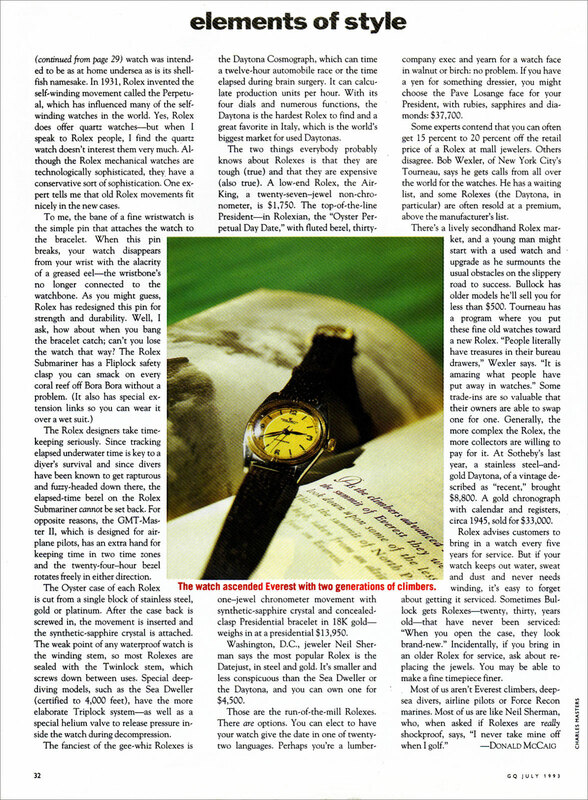 It is profound when you consider this article was published 22 years ago!! !